We live in a generation where road trips have become an integral part of our travel plans with self styled itineraries becoming the new statement. The days when your travel guide/ travel company charted out itineraries with the list of places to see and thrust upon that one place to have your lunch are slowly waning. In today’s world when every location, eatery or a home stay are at the click of a finger tip, travellers prefer to have their road trip planned as per their convenience. Though it isn’t a tough task to create itineraries, what if you have an app which offers itineraries with options to choose and edit? That should make creating itineraries exciting and easy. 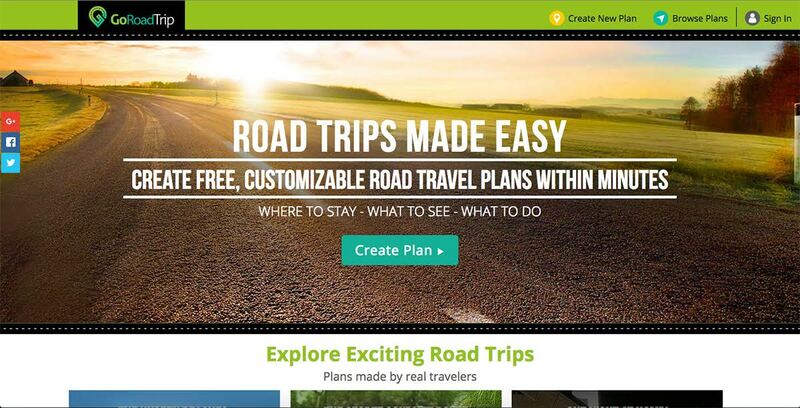 GoRoadTrip which is a customized road trip vacation planner app offers exactly the same. They have covered over 7000 locations across south India and offer more than 75000+ road trip itineraries generated by 27,000+ users. From weekend trips to week long trips, GoRoadTrip app has a wide range of genres which includes heritage sites, beaches, wildlife, water bodies, religious places and much more. The app also mentions the time required to cover the locations and suggests the best places for a break to satiate your hunger and cosy stay options to snuggle in the night. Here again the user has an option of customizing these options of restaurants and hotels/ resorts. A click will give you a plethora of options to choose from Tripadvisor. Though the app mentions the default time you need to spend at a particular place of attraction, this too can be modified as per the user’s interest. Apart from all this, what if you want to create a totally new itinerary for your road trip? GoRoadTrip app helps you with that too. If all that you want is solace by any beach or some history lessons at any heritage site which is a few hours’ drive away from your city, the app can generate a new itinerary for you. Here again the suggestions pop up as per the information that you feed in which can again be edited. Now, how cool is that? Making road trip lovers put the thinking cap on with throwing in suggestions and helping them create a well structured travel plan is the best thing I like about GoRoadTrip app. Creating, editing and personalising itineraries seem like a cakewalk with this application. So what are you waiting for? Download the app from google play store, create your itinerary and get on with that road trip that you have been long waiting for. A good review! The have a lot of trips in South for sure! looks like an interesting app!